Cigar forums offer a lot. A chance to learn from more experienced smokers. Hear directly from manufacturers and industry leaders occasionally. Arrange a herf with other members. Get involved in trades and box passes. It’s up to you. Manufacturers use cello to protect cigars against damage in shipping and handling, as well as when they’re on display in shop humdiors. Cellophane offers you that same protection. Don’t worry about the impact on aging. Cellophane allows air to pass through it, slowing the transfer so little you’re unlikely to notice the difference (unless you measure your aging in decades). Humidity at 60, 65, or 70? Again, that’s up to you. Most smokers have to experiment to determine the level they prefer. For one thing, the ambient humidity and temperature where you live and smoke can have a strong impact. Nowadays, too, the old 70/70 “rule” isn’t as applicable, since newer humidification methods permit much greater control. But recognize that precisely measuring relative humidity is notoriously difficult, and even good hygrometers can easily get out of whack. What bundle cigar tastes like a Padrón Anniverary or Opus X or Davidoff or …? What Japanese compact drives like a Ferrari? What off-the-rack suit fits like one from Savile Row? What budget hotel accommodations match Four Seasons? Sorry, no cheap smokes come any closer in replicating the best in the business. 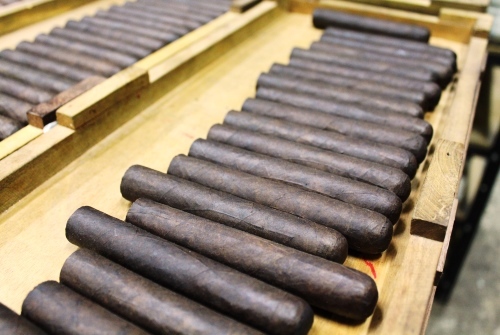 Yes, some cigars are overpriced, but that doesn’t mean all expensive cigars are overpriced. The storied brands have earned their reputations and value through hard work, meticulous attention to detail, and use of the finest materials. I hope this helps. If you want more on any of these—or other—topics, just click on Tips at the top of the page or use the Search function at the top right for a wealth of information. P.S. Yes, always store infused cigars separately from regular sticks. Good tips. For me, cellophane on; 60% to 65% humidity; and Opus X just don't appeal to me at their price point. Give me a Hemingway any day.